Saturday paddling - drive to river, offload all gear at top of river, shuttle cars to bottom of river, paddle river, change, collect car from top and that's it! Sunday is a repeat of Saturday, except we leave in the afternoon to return to London, (arrive about 8pm? 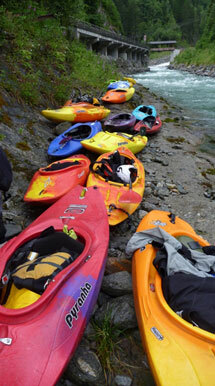 ), to offload boats and equipment at the club container, (if necessary), and then everyone goes home!